Bornholm is renowned for its large number of skilled craft artists. They are instrumental in profiling an area devoted to quality and aesthetics where artists are inspired and feel free to pursue their craft, yet also an area with a strong sense of artistic community. Since 2002 Bornholm’s best professional craftsmen have joined together in an association of the applied arts called ACAB. ACAB is a quality-censored association where each craftsman is judged by an external committee before she or he is accepted as a member. ADXTUR brings together the public and private desires of the Portugal region, which are reflected in the shared management of a brand, the joint promotion of a territory, the creation of wealth through the provision of tourist services and, finally, the preservation of culture and heritage of the rural world. Artex is the Centre for Artistic and Traditional Craftsmanship in Tuscany and promotes innovation and development of artistic and traditional handicrafts. Artex was created in 1987 by the CNA and Confartigianato crafts associations; over the years it has developed and managed projects for the improvement of crafts enterprises and their manufactures, gaining a unique experience in this sector. 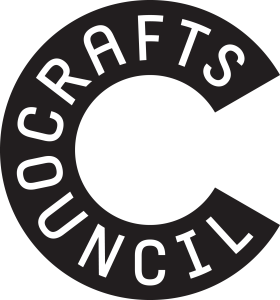 The Crafts Council champions high-quality contemporary craft practice nationally and internationally through exhibitions, publications including Crafts magazine, education programmes, and curating the United Kingdom’s national collection. It aims to build a strong economy and infrastructure for contemporary craft and is a member of the World Crafts Council. The German Crafts Association (BK) is the umbrella organization for professional craftspersons in Germany, working as an unaffiliated, nonpartisan organization. BK is a national organization. Its main objective is representing its members’ interests in the economic and cultural promotion of contemporary arts and crafts. BK currently counts craftspersons, designers and free-lance artists as members. Membership admission is determined by the selection committee and is based on the quality of work submitted by the artist. CEARTE is a Vocational Training Centre and, since 1986, has worked for the sector of Arts and Crafts, heritage, creative industries, and small companies, promoting employment, the valuation of territories, skills acquisition, professional evolution, innovation for artisanal production units and, in general, the qualification of the Portuguese. ÚĽUV functions as a nationwide documentation and information centre for folk art production in Slovakia and encourages the revival of Slovak designs with an emphasis on craft, tradition, and creativity. It organises craft classes, exhibitions, competitions, festivals and promotes the work of masterful craftsmen and designers who are seeking inspiration in traditional crafts. Crafts Council Nederland (CCNL, 2013) is the all-encompassing platform for contemporary craft. It is the place where art, fashion, design and heritage unite and where craftsmanship is nurtured and passed on to a new generation. CCNL works together with all key players within the crafts domain. As researcher. As initiator. As catalyst. As guide. As concept developer. As unifier. Craft Scotland is the national development agency supporting makers and promoting craft. Makers are the heart of what they do, championing diverse and high-quality contemporary craft. They help people learn about, appreciate and buy craft, promoting the contribution of craft to Scotland’s cultural, economic and social well-being. Through their exhibitions and events programmes, digital platforms and strategic partnerships, Craft Scotland provide leadership for the sector. Danish Crafts & Design Association (DKoD) is a national organization for professional designers and craftsmen. Their aim is to support high quality practice, professional collaborations and networking. This is achieved through various activities such as public events, seminars, fairs and international exhibitions. DKoD was established in 1976. The association aims to support and promote Luxembourgish craftsmanship. One mission is to establish the Fine Contemporary Craft Biennial initiated in 2016 by HRH Princess Stephanie. It exhibits Luxembourgish creators and build bridges with European countries. The association also develops a cross-border programme of exhibitions. Committed to encourage and preserve the transmission of artisanal know-how, the association delivers scholarships for excellence. The Design & Crafts Council of Ireland (DCCoI), which is headquartered in Kilkenny, is the main champion of the design and craft industry in Ireland, fostering its growth and commercial strength, communicating its unique identity and stimulating quality design, innovation and competitiveness. Our vision is that Irish design and craft is recognised and valued worldwide for its excellence in craftsmanship, innovation and marketing. Flanders DC, or Flanders District of Creativity, is the single point of contact for entrepreneurs in the creative industries. After the merger with Design Flanders and Flanders Fashion Institute, they are ideally placed to serve the entire sector’s needs. As an independent non-profit organisation, they act as the ‘front office’ of the government agency Flanders Innovation & Entrepreneurship, actively supporting creative entrepreneurs who want to build or grow their business. 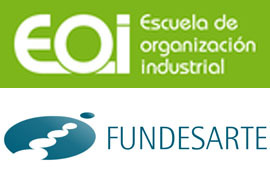 Fundesarte is since 1981 the leading institution in the promotion and development of Spanish craft enterprises as part of the EOI Foundation (School for Industrial Organisation), entity attached to the Ministry of Industry, Trade and Tourism. A priority of their programme is to promote, value and communicate the quality of craft products and the sustainability of its production processes. Created in 1996, the frémaa federates 180 craftsmen and women with outstanding credentials. Its mission is to support, represent, defend and promote the economic development of its members. With the success of its different economic, cultural and training endeavours, the frémaa ensures the recognition and the development of the applied arts field. The Finnish Association of Designers Ornamo, established in 1911, is an expert organisation in the field of design. Ornamo advances the profession of designers and promotes the role of design in society. They endeavour to support you in your career, whether you are a designer or an artist, or looking for inspiring employment opportunities. Their activities rely on a community principle: working for the benefit of each other and the entire profession. 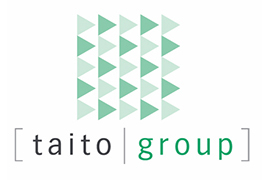 Founded in 1913, the Taitoliitto Association is responsible for organizing common affairs, developing industry and communications, as well as domestic and international connections. The magazine TAITO, published by the association, has been published continuously since 1907. It is the task of Taitoliitto to support regional skill associations by organizing development work, launching product development and managing state aids and communications. In addition to this, Taitoliitto’s important task is to act as a sensation of change in society and as a advocate and expert in the craft culture. Georgian Arts and Culture Centre works for the preservation, development and sustainable use of heritage crafts and cultural industries in Georgia since 1995; supporting innovative approach GACC contributes to economic viability of cultural sector through studies, trainings, marketing and international exchanges. The Center also conducts preservation of tangible and intangible heritage and gallery activities. The Handicraft Chamber of Ukraine is an all-Ukrainian non-governmental organization that has been working at the national and international levels since 2009 to protect the rights and interests of micro, small and medium enterprises (MSMEs) in the field of production and service. The Institut National des Métiers d’Art (INMA) is state-run, under the aegis of the French Ministry of Culture and the Ministry of Economy. The INMA’s role is to promote the artistic crafts and support their future development, in particular by developing a unique expertise in the sector. 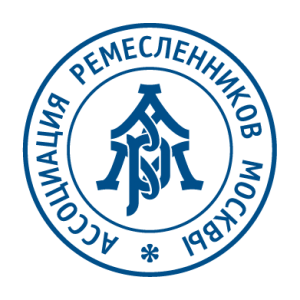 The purpose of the International Union of Craftspeople is to unite the craftspeople of Russia. The movement looks at the culture of small disappearing nations and international culturological processes through the prism of crafts and tolerance. They have successfully preserved numerous craft traditions. KHVC’s mission is to promote the makers and their work. They work to strengthen the craft network and the makers role in the cultural industries. KHVC has offices in four Swedish cities: Stockholm, Gothenburg, Malmö and informs makers about business and learning opportunities, arranges workshops, seminars and other learning events for the craft artists and the field of craft. European craftsmen in areas such as wood, metal, glass, ceramic, textile, stone crafts, music instruments and restoration are the guardians of European diversity, cultural heritage and know how. They are now facing business troubles because of their small visibility within an offer of cheaper and more accessible products. Mad’in Europe has started its activity at the end of 2013 with an objective to bring sustainable and concrete support to these micro-businesses, through different actions. 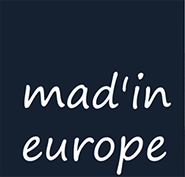 Mad’in Europe is connecting the European art-crafts community with international potential users: private consumers, architects, designers, interior designers and musicians. The Norwegian Association for Arts and Crafts (NK) is a membership organization working to promote and support contemporary crafts nationally and internationally. NK currently encompasses 830 professional practicing artists and makers. NK’s main objective is to strengthen the arenas for contemporary crafts and improve the general working conditions for artist and makers. Norwegian Crafts is a non-profit organisation, founded by the Norwegian Association for Arts and Crafts in 2012. Norwegian Crafts’ principle aim is to strengthen the position of Norwegian contemporary crafts internationally, through five strategic areas; exhibition programme, market development, theory development, network and exchange, and grants and support schemes. The organisation is funded through support from the Ministry of Culture and the Ministry of Foreign Affairs. We advise the Ministry of Foreign Affairs and the Norwegian embassies and consulates abroad on contemporary crafts. Composed by 21 craftspeople, associations and federations in Spain although it also allows individual members and collaborators. As a whole it represents around 1,000 craft businesses located in the whole of the country. In order to fulfill its mission of promoting and representing craft in Spain, it publishes the quarterly printed magazine Oficioyarte (Craft and Art) and the digital magazine www.oficioyarte.info among other tools. 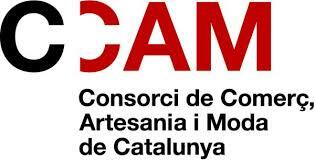 The Consortium of Commerce, Crafts and Fashion brings together in a specialized entity the management of policies regarding the promotion of commerce, crafts and fashion of Catalonia. Entrusted to the Department of Business and Employment, the general purpose of promoting and promoting the commercial sector, craftsmanship, and support for Catalan fashion, with the aim of promoting competitiveness and the quality of these sectors, nationally and internationally. WCC • BF is a professional association valuing artists in the field of applied arts. The gallery is a showcase for Belgian designers (from the regions of Wallonia and Brussels) working in ceramics, glass, jewellery, styling, paper, wood, textiles and design. The WCC • BF’s mission is promote, inform and train and is also open to national and international creators thanks to the triennials it organizes each year.